2 bedrooms, bathroom, spacious balcony, elevator and individual storage room located on the ground floor. The apartment is located in a neat apartment complex on the 2nd floor with all desirable amenities within easy reach. Ample parking on site directly in front of the complex. Facilities such as health center, small-scale shopping center, schools and roads in the immediate vicinity. 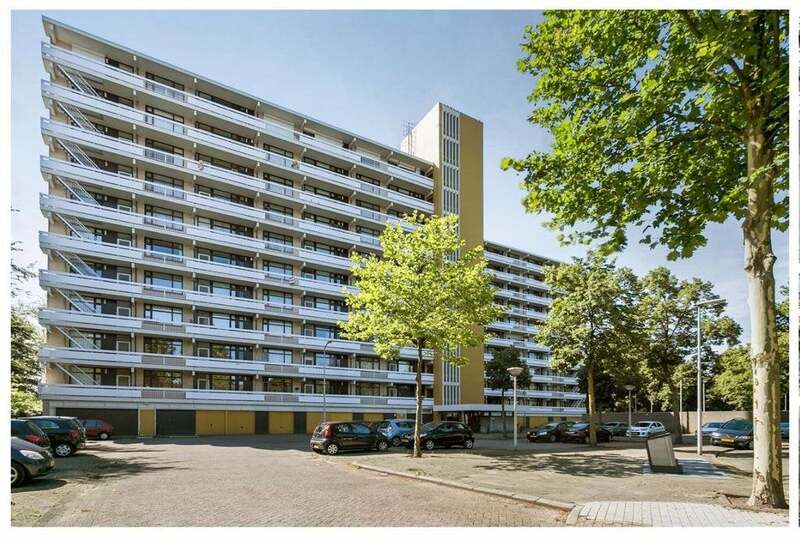 The apartment is located in the Vaartbroek district, within walking distance of the shopping center with various supermarkets and a variety of other shops / restaurants. In the vicinity of schools, a health center and roads to the city center and the motorways around Eindhoven. With no less than 90 m2 of living space, renovated bathroom, luxury kitchen, a spacious balcony, enough parking space and a storage room on the ground floor, the living pleasure is complete! Representative central entrance with doorbells, mailboxes, videophone installation and access to the closed lobby with 2 lifts, the stairwell and the storage rooms. Gallery with access to the apartments. Through the tour portal you enter the hall, with videophone installation, from which all rooms are accessible. The hall is nice and spacious in an L-shape and has a laminate floor which has been laid to the living room and bedrooms. Spacious living room with lots of light through the large windows. The living room is accessible from the hall through two doors. This makes it easy to separate the living and dining areas if this wish exists. The living room also has a nice laminate floor. Through the living room is the spacious balcony with a super view accessible. At the front is the kitchen. The kitchen in light colors is set up in a straight line twice, so that there is plenty of work space. Furthermore, the kitchen is equipped with upper and lower cabinets, built-in spotlights, counter top with sink, extractor hood, dishwasher, combi-oven microwave and a 5-burner gas hob. Through the kitchen there is a storage room where the washing machine and dryer connection are located. The apartment has 2 bedrooms, the largest of which also has a door to the balcony; both are equipped with paint walls and the same parquet flooring. Fully tiled and equipped with a spacious bath and sink. The bathroom is also equipped with mechanical extraction. Spacious balcony over the full width of the apartment situated on West. Enjoy the afternoon / evening sun! The modern meter cupboard is accessible through the gallery. Front door and kitchen window are equipped with shutters.